I UNDERSTAND it's the second week of the season but Middlesbrough sit proudly at the top of the Championship (OK I know 20 teams have a game in hand) but four points from the opening two games is a good start. On Saturday they welcome Birmingham to the Riverside and their former manager Garry Monk. The Boro despite losing key players from last season have shown excellent team spirit and energy and followed a good draw on the opening day (2-2 at Millwall) by beating Sheffield United on Tuesday. Middlesbrough's new loan signing Jordan Hugill from West Ham will not be involved due to a slight knock along with Daniel Ayala (calf) Rudy Gestede (ankle) and Paddy McNair (knee). Birmingham have long-term injuries for Davies and Vassels and also missing will be Brock-Madson who has a thigh strain. Monk and Birmingham have had a rough summer with a transfer embargo on the club and only allowed two loan signings which arrived just last week. Last Saturday Birmingham blew a 2-1 led at Norwich in stoppage time. 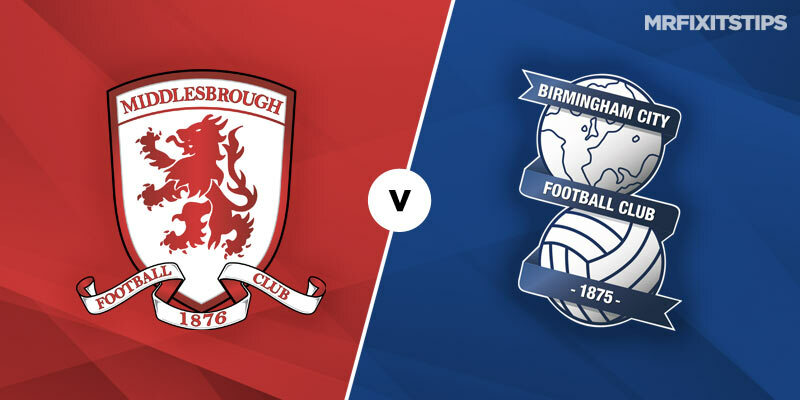 Middlesbrough are unbeaten in the last eight Championship clashes with Birmingham and will have to be wary of Middlesbrough at set-pieces as the average height of their defence in 6ft 2 ins. This danger was well illustrated at the Riverside against Sheffield United when Aden Flint powered in ahead for his sides second goal. Birmingham have not scored at the Riverside since April 2014. All the history and stats point to a Middlesbrough win with Martin Braithwaite, who had a good World Cup with Denmark, scoring in both the opening games. He will be out to make it three in a row on Saturday to prove last season's doubters wrong. Yes if they play anything like they did on Tiuesday they will win but our problem is and always has been consistency .